Winx Club-Bloomix Magic Winx/Charmix Version(without Aisha). Charmix. 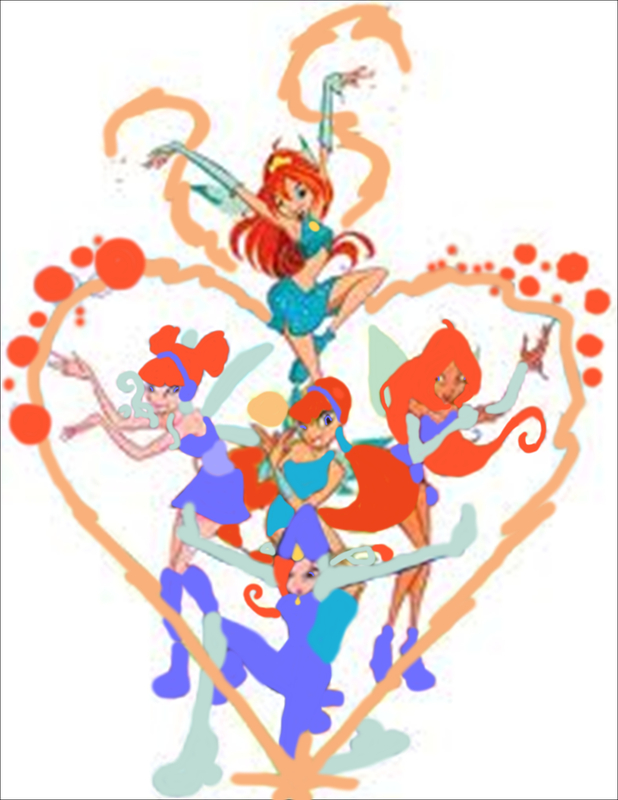 What if all the Winx had powers like Bloom's which are related to fire? Bloom: Dragon fuego Stella: fuego Light Flora: fuego Wood Musa: fuego Crackle Tecna: fuego Spark (light up the fuego with a electric spark) Aisha: fuego Smoke (not included). HD Wallpaper and background images in the El Club Winx club tagged: winx club bloom stella flora musa tecna charmix bloomix. "Bloomix"? A transformation based on Bloom? You've just made Bloom into a bigger Mary-Sue for me. I didn't even know that was possible...until now. more info: Bloomix is a transformation where the all of the Winx are transformed into outfits like Bloom's, and with fire based powers. This transformation is received by truely believing, knowing and trusting Bloom. the same thing applies with Stellaix, Floraix, Musaix, Technaix, Aishaix, and Roxyix. These transformations differ depending on if you have a certain transformation or not. For example, the Winx here have their Magic Winx. So their Bloomix will be in their Magic Winx outfit but with different colors. Get it? I hope you do... this can be really confusing. Oh and when a fairy gains a new transformation, the Bloomix (or others) change to fit the outfit. Bloom cant receive her bloomix because she is bloom and bloom is as bloomish as you can get! :) same thing with the others. um if your comment was nice then thanks. ha ha ha i thought of it.